Is Amazon good for DevOps? Maybe yes, maybe no. But for sure the new Berlin office is good for a Berlin DevOps Meetup. Jonathan Weiss gave a short overview over the engineering departments found here: AWS OpsWorks, AWS Solution Architects, Amazon EC2, Machine Learning. Michael Ducy (Global Partner Evangelist at Chef Software) talks about DevOps and tells the usual story. 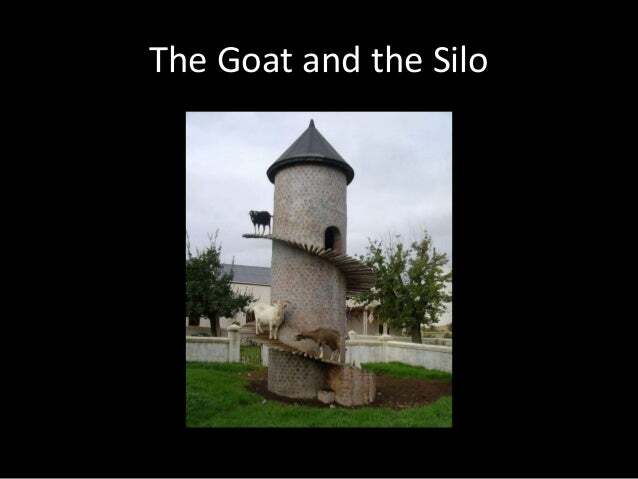 Michael uses goats and silos as a metaphor and builds his talk from the famous goat and silo problem. He sees the "IT manufacturing process" as silos (read History of Silos for more about that) and DevOps minded people as goats: Multi-purpose, versatile, smart and stubborn at reaching their goals. The attendees of the DevOps event probably did not need much convincing, but the talk was nevertheless very entertaining. Michael has an MBA and also gave some useful insights into how organisations evolve into silos and how organisational "kingdoms" develop. The talk is available as video: 15min from Jan 2015 and 24min from Dec 2013. The slides are available on Slideshare. As a funny side note it turns out that Amazon even rents out goats: Amazon Hire a Goat Grazer. However it seems that this offer is about real goats and not DevOps engineers.